International students interested in attending should begin this process 3 months prior to the term. Additional documentation and forms are required. Continuing Education provides opportunities to gain intensive training, upgraded training in specific occupational areas. Credits provided are non-credit Continuing Education Units. Allows students to seek admissions without consideration of postsecondary coursework 10 or more years ago. 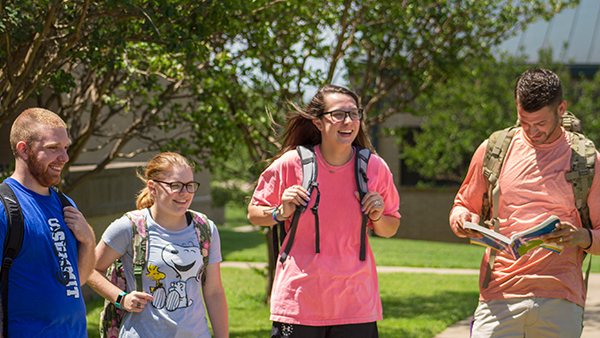 Fresh Start must be requested prior to enrolling at Hill College. Students may seek this option if they didn't graduate from an approved high school, obtain an official GED or attended an accredited institution of higher education. Monday - Thursday, 7:30 a.m. - 5 p.m.
Monday & Thursday, 8 a.m. - 6:30 p.m.
Tuesday & Wednesday, 8 a.m. - 4:30 p.m.
Monday, 7:30 a.m. - 6:30 p.m.
Tuesday - Thursday, 7:30 a.m. - 5 p.m.